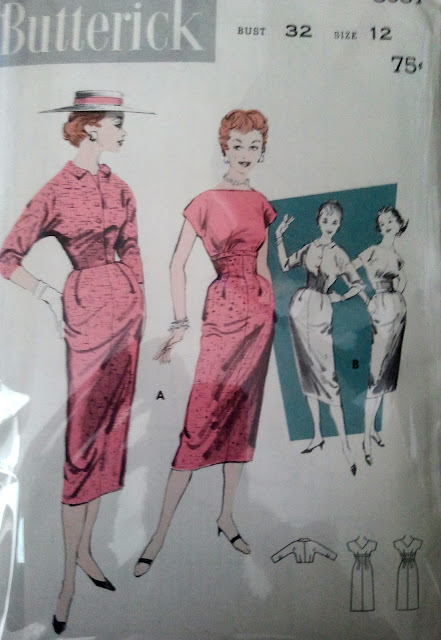 Over Christmas I made a couple 1950s frocks I haven't shared with you. 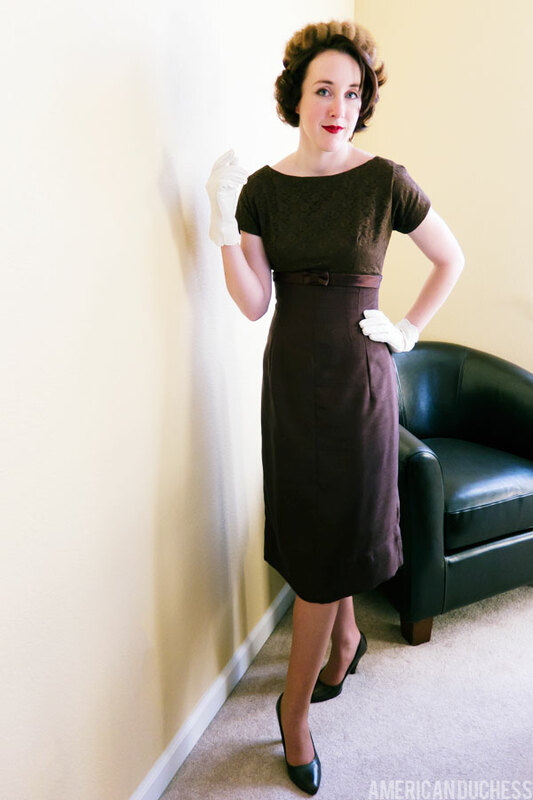 In fact, I made this dress, then didn't have opportunity to wear it until yesterday, for my grandmother's 88th birthday. 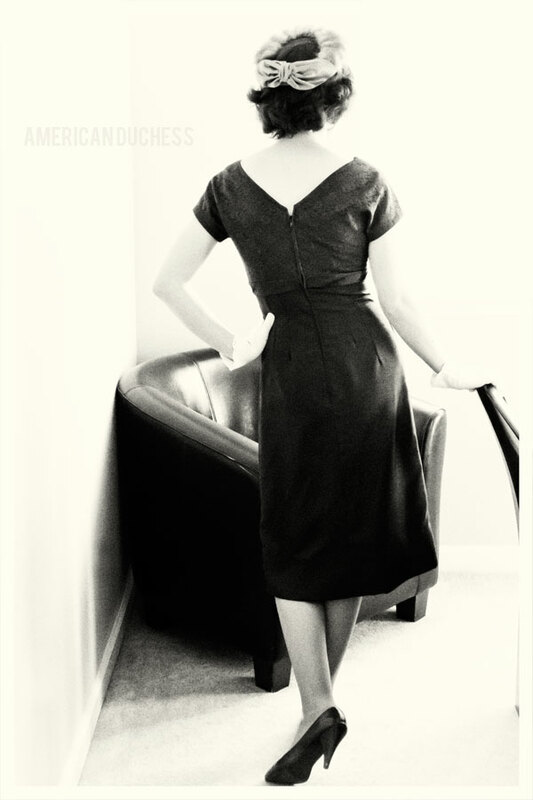 The pattern was Butterick 8087, size 12. 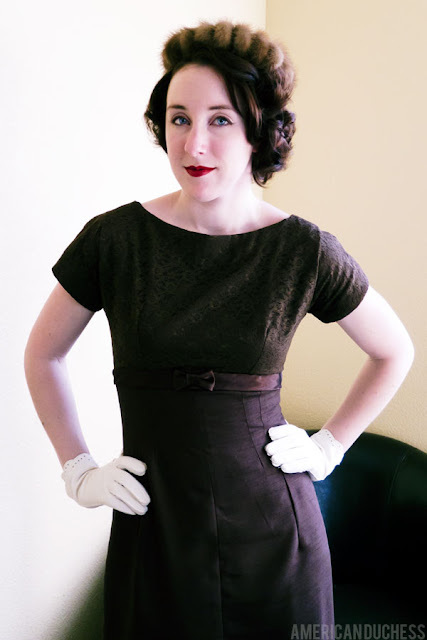 I constructed my version from brown shantung with a brown lace overlay on the bodice. It was another exercise in letting out seam allowances (yay for 5/8"!) and minimizing darts, as I wear a 14 vintage (if I'm lucky), not 12. Tight squeeze. Yesterday I wore the dress with a vintage "mink donut" hat - my dad said it looked like little fuzzy donuts lined up in a crown, lol - and a pair of white gloves I picked up at Sacramento Antiques last weekend. I love the lace overlay! And the hat! Yummy! This dress is so flattering! I love it when brown looks sophisticated and not drab. I'm envious! love the dress, so elegant. Wow! You re rocking that dress! What a classy style! Great job; I love it!!! What did your grandmother say? Love the dress, especially the cut of the back. Well done! You look fabolous in this! It's really perfect for your figure! And the lace makes all the difference, it adds so much style! You look lovely but the hat doesn't look like doughnuts, it looks like a giant mink caterpillar. Mink Caterpillar! I LOVE IT!! You look like my dearly departed Aunt Dora in your dress. So wonderful!